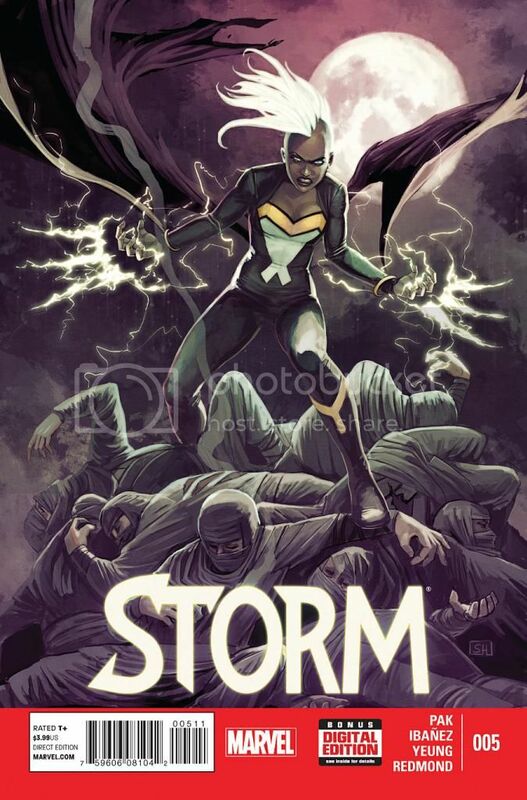 Storm #5 (Published by Marvel Comics; Review by Draven Katayama; ‘Rama Rating: 8 out of 10): Greg Pak writes Storm in a difficult position: fight on behalf of the crime clan run by Yukio and kill a rival clan’s champion, or watch innocent people get slaughtered by the rival clan. 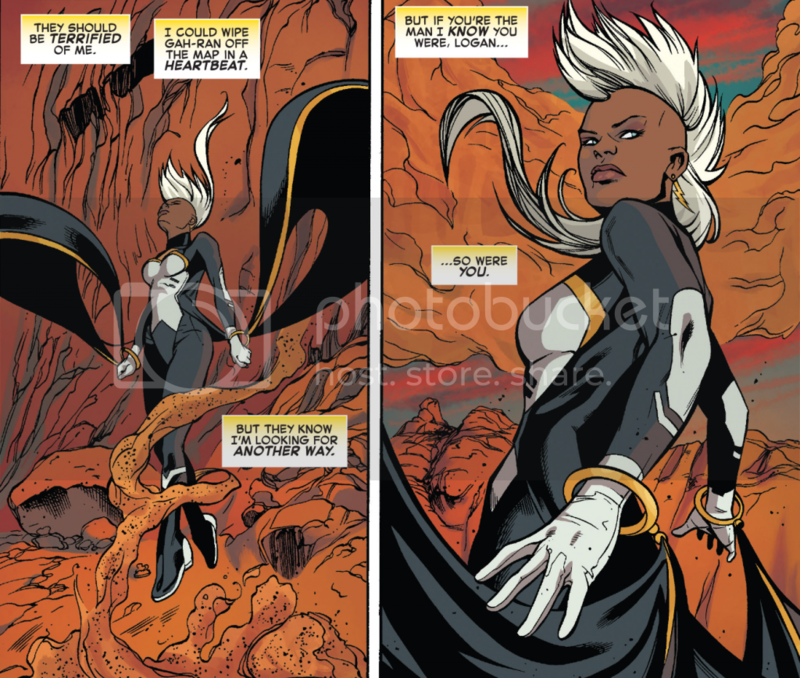 Pak skillfully connects Storm’s mourning Wolverine’s death to morality questions: should she kill in the interest of a greater good? Pak and Victor Ibanez are able to make this not only a mature thought piece, but an entertaining episode of action. Ruth Redmond’s backdrop of the teal night sky enlarges a fight scene’s scale, and a dusty orange sunset during a pivotal conversation fits the solemn tone. Of all Marvel titles, Pak has created the one that is most globally conscious of real-life injustice issues.